This FREE Online Course is provided to you just for Registering in any of my Online Courses. What’s the sense of knowledge if it’s not shared! 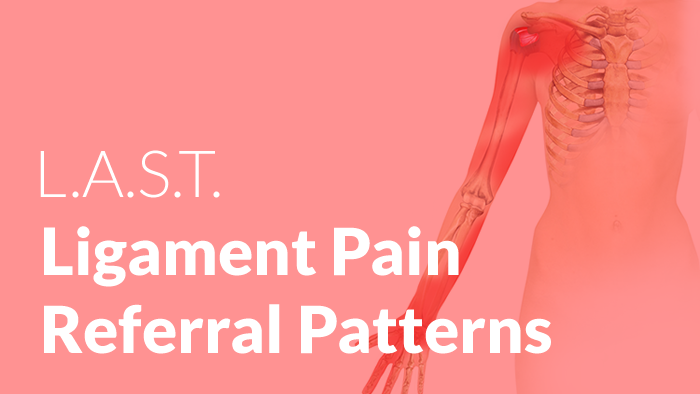 In this course I instruct you on some basic Neurophysiology pertaining to pain, the most common Ligament Pain Referral Patterns according to research, integrate some patient stories and provide an always expanding Resource Centre for you to visit. This course is for manual therapists wanting to improve or support their knowledge of pain science. You’ll gain access to exclusive video lessons educating you on the typical Ligament Pain Referral Patterns of the body. This course was designed for those of us looking for information pertaining to our updated understanding of Pain Science and Pain Referral Patterns.